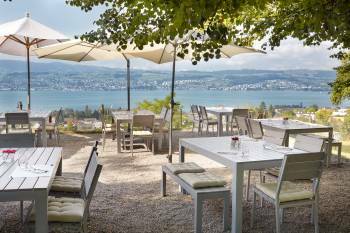 Hotel Boldern is situated in Maennedorf a town situated 20 Kilometers away from Zurich along the lake of Zurich. Sitting high above the Maennedorf, Hotel Boldern offers breathtaking panoramic views over the lake and into the mountains. The hotel features 59 single and double rooms, a restaurant, bar, lounge and terrace. Complimentary wireless Internet access throughout the property as well as free parking is available to our guests.